Looks like the time of tiny sunglasses might be over soon! Judging by this season’s fall international runways, people seem to be leaning towards larger lenses for better protection against the sun. We’re talking about shield sunglasses, FYI—single lensed, large-silhouette shades often evoking a futuristic feel à la Cyclops and Robocop. 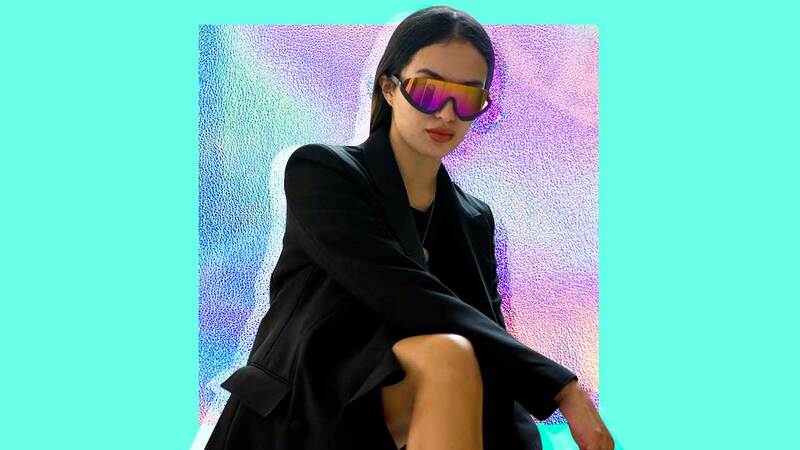 But if you’d rather not look like a member of the X-Men or a crime-fighting cyborg, Sarah Lahbati can teach you a thing or two about how to wear a pair of shield sunglasses. Go for a casual yet sophisticated vibe by pairing your shields with an ever-versatile black blazer, worn with a simple T-shirt and shorts combo. We especially love how Sarah’s layering piece has a ruffled hemline, which adds a dainty touch to her cool-girl outfit. She finishes off her look with a pair of chunky Balenciaga sneakers and a couple of gold rings to achieve that effortlessly edgy vibe.